The most important new feature of this update is the incorporation of a powerful yet intuitive keyword suggestion tool. 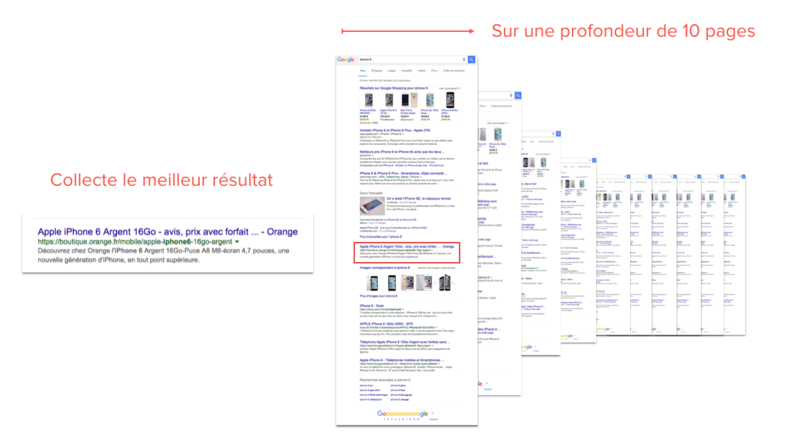 This tool gives you the ability to find new, French-language keywords related to your searches. It can be accessed directly via the tool’s menu. Increase traffic by targeting strategic keywords. 1 – You enter a keyword or an expression in the search field. 2 – A list of expressions related to your search is offered, and you can filter the results. 3 – Select your keywords to create a list that you can then export to your preferred format. To find out more, take a look at the keyword suggestion presentation. 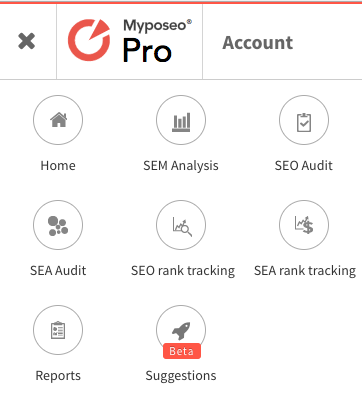 At the start of the week, we integrated Detailed SEO Tracking into the Myposeso solution, providing both detailed and simple SEO Tracking. As a reminder, simple SEO Tracking allows you to collect ONE result, covering a depth of ten pages. Detailed SEO Tracking now allows you to collect ALL results on all pages, but with just three pages of depth. It also allows you to retrieve your competitors’ rankings on these first three pages. 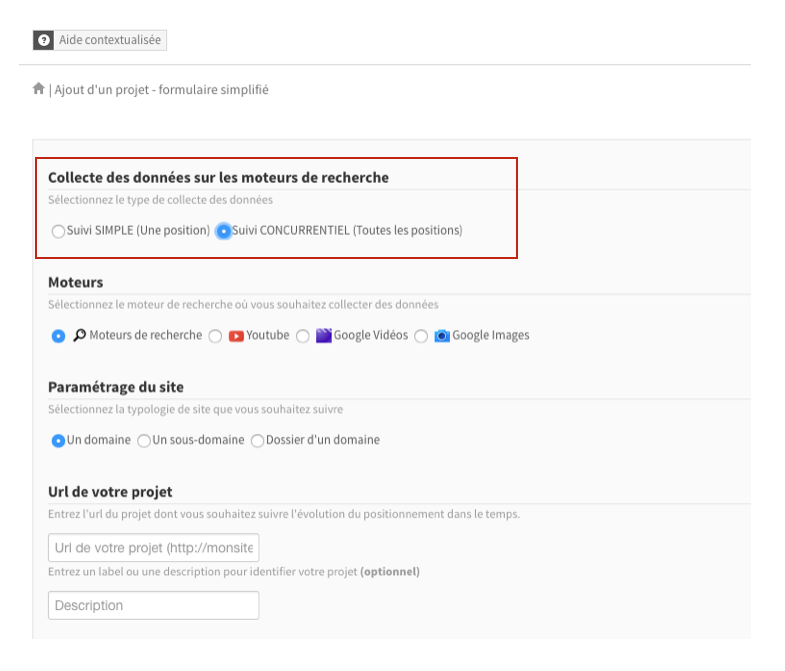 To choose detailed SEO Tracking, simply create a project and select the project in the configuration tool (as shown below). To find out more, take a look at the detailed SEO presentation. We hope that all of these changes will delight you, and that you’ll be just as delighted to tell your friends about your positive experiences!